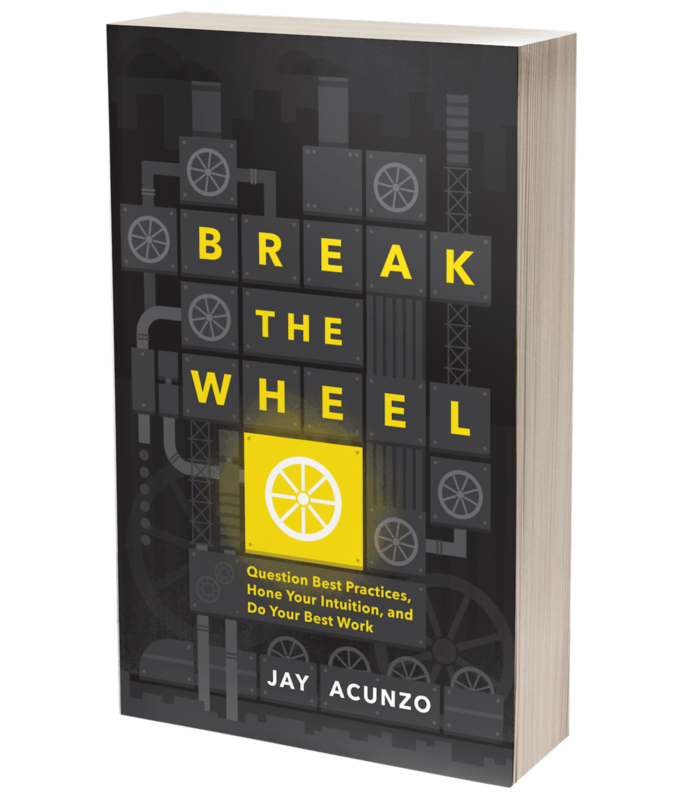 It Has Never Been Easier to Be Average — Jay Acunzo | Author. Speaker. Maker of Shows About Work. It has never been easier to be average. When we start to do anything new, it can be a struggle. We don’t have all the answers we need. But today, with just a little bit of effort, we can find them and ascend quickly to “average” status. Want to learn how to drive more leads? In seconds, 188 million pages are there waiting to tell you. Thinking of picking up a culinary skill? Watch a YouTube video about literally any dish. The world is your oyster. Or your bruschetta. Or quesadilla. Or–brb, I need a snack. In the Information Age, we can hack our way to junk and copy our way to passable before we’re just a tiny burst of work away from average. That wasn’t so bad! We’re already there! And — good news! — more of that helpful stuff is poured into the world with each passing second. Yes, it’s never been easier to be average. But it’s never been harder to be exceptional. To be exceptional, quite literally, you have to be an exception. You have to do things a little bit differently. So if being exceptional means being an exception, I have good news: Everyone already is. Everyone has a unique combination of experiences, aspirations, hopes, fears, beliefs, and skills. But not everyone trusts that. Not everyone uses that. I think it’s time we all did. The things that shot you up to average are external. The one thing that gets you to exceptional is you. There are no lists or YouTube tutorials to get you there. You can’t “best practice” your way to extraordinary. In a noisy, increasingly commoditized world, the only real differentiating factors are the individual and the team, in other words, people. We all have access to the same tools and tips-and-tricks. More than ever, the things that make you an exception matter. So what does it take to do that and succeed? That’s what we’re exploring with Unthinkable. Unthinkable is a collective journey to answer that one question. However, rather than end with a 12-step plan or 7 tips-and-tricks, we’re backing up a step from the moment of action to examine the way in which we prepare for it. How can we be more specific and concrete in the aspirational anchors we throw out to the world? How can we better pull from the right influences to inform and improve our work? How do we create and take advantage of the right experiences in our lives and training in our work, both when they’re directly and indirectly related to the task at hand? If we each had our own Iron Man suits, then most people and resources out there focus on playbooks and prescriptions for exactly how we should use then. Well what if we learned how all the parts worked? Then we could use them however we wanted — each of us in a way that’s an exception to every other person and moment, because every person and moment is an exception. Yes, it’s never been easier to be average. So maybe it’s time we aspired to do the hard part. Let’s go. Thoughts on this? jay@unthinkable.fm or @jayacunzo on Twitter and Snapchat. Posted on December 15, 2016 by Jay Acunzo and filed under IDEAS.